I Could Plan a World Wide Party! You are the BEST. The most organized, detailed and talented Event Planning Professional since the first World’s Fair. You are where you should be EVERY time, in fact, you are always early. The vendors you work with love your attention to detail. You never fail to impress a client with your technology and systems. Your knowledge of current trends in parties and event planning never fails to impress a client. Yes, you are a TERRIFIC Event Planner! You have 12 different phone apps that help you plan and stay organized. You have a robust presence on 6 different Social Media platforms. Your office is so organized, you have your paper clips in little bins…according to size and color. Your clients are always impressed. There is no doubt technology is your greatest tool. Then why don’t you get more referrals and repeat business? Yes, your systems, apps and financial acumen make you one of the best at event planning companies. Why, then, do you have trouble booking clients or attaining referrals from past clients? Perhaps it’s not about business acumen. What if it’s not about apps and programs? Maybe it’s not about how efficient you or your vendors are? Perhaps it’s YOU. What? How can that be? I’m a rising star in the Event Planning world, there is nothing wrong with my business and systems. All this is true, but it’s not about the business, it’s about YOU. Put down that Ipad and cell phone and consider this for a moment. Maybe your struggles stem not from systems but from feeling. Do you CARE about your client’s and events? Do you approach every job like it is your own personal party or event? When an event is over, are your clients more like friends than invoices? 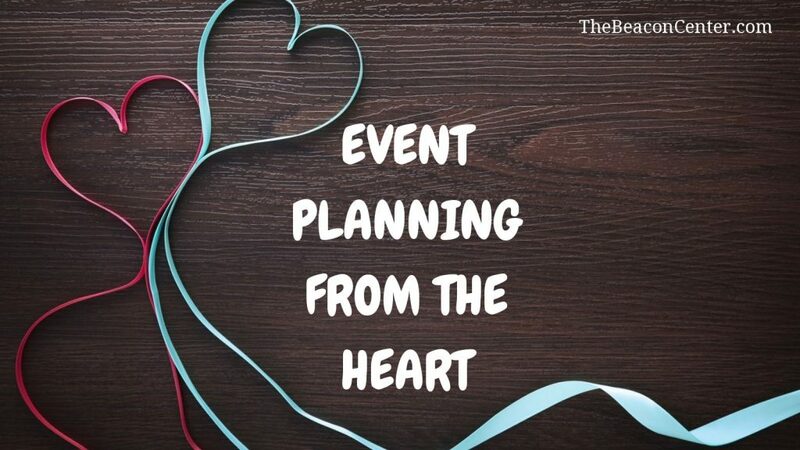 If you could not answer yes to these questions, maybe you need to consider Event Planning from the Heart instead of technology. The first step is to truly care about your client and their event. Approach every job like it is your personal event. Perhaps take a few moments to view your plans and programs from a more personal point of view. It isn’t always about practical details, more often it is about emotion and feeling. Instead of impressing your potential customer with programs, impress them with your heart. Make sure they know you truly care about their event. At The Beacon Center, we are about making your venue selection stress-free and personalized. Our clients have commented over and over again about the personal service and how that is what made their venue selection process memorable. How Heavy is Your Business Toolbox?